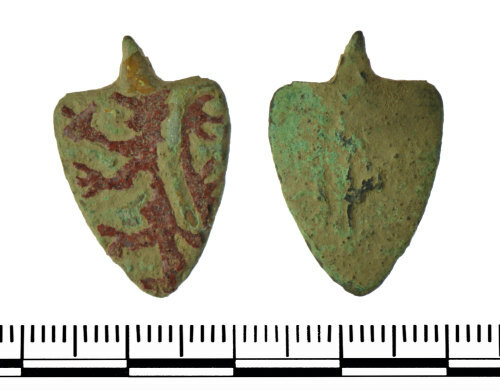 Copper alloy shield shaped horse harness pendant that has the remains of a projecting loop on the top for suspension. The face of the shield is decorated with a red enamelled beast (lion or leopard) rampant facing left, standing on a silvered background. The back of the shield is undecorated.